Seelig did not wait long to turn his newfound love into a fledgling career. At age 14, that same Coconut Grove camp gave Seelig his first job, but this time as a counselor making a minimum hourly wage of $6.25. Seelig took every opportunity to be on the docks and near the boats. He quickly learned how to properly tie dock lines, rig sails and perform basic maintenance. Those lessons have paid off ever since. By his senior year in high school, Seelig had doubled his pay and expanded his skills and responsibilities on the dock. There were few repairs or maintenance jobs he couldn’t handle. He was as comfortable sewing a torn-up jib and racing sailboats as he was repairing motors and fixing electronic glitches. When Seelig was 18, Freedom Boat Club, a members-only boating club, came to Grove Harbour and hired him to run their operations on Saturday and Sunday. It was a remarkable amount of responsibility for a teenager, but few young people anywhere could match the marine experience Seelig had logged. Eventually, Seelig ran private yachts in South Florida and played host to various major movie and music celebrities, business executives and Miami’s elite. Seelig, now 30, no longer runs charters for the rich and famous. After relocating to the First Coast area to attend the University of North Florida, he went back to work with Freedom Boat Club, but in a different context. Seelig is no longer an hourly employee, tying off lines and scrubbing decks. 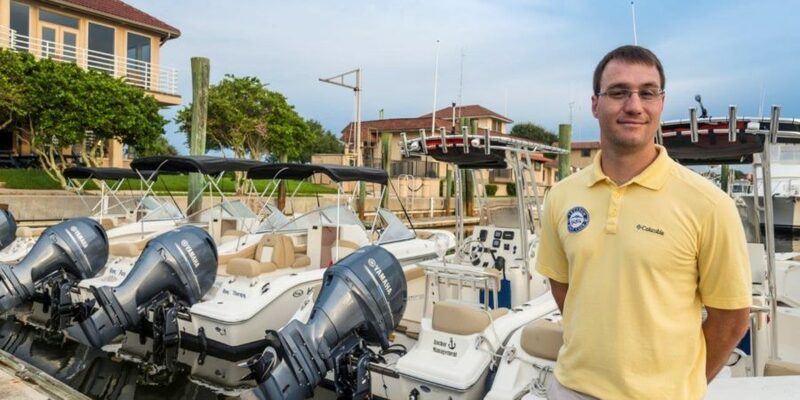 He is president of the Camachee Cove Marina, St. Augustine as well as the Jacksonville locations of Freedom Boat Club, which he co-owns with his partner, Lisa Almeida. 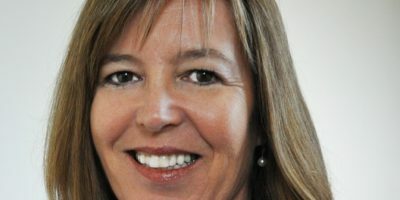 Seelig handles operations, while Almeida oversees the marketing and sales side of the business. Under their guidance, the St. Augustine and Jacksonville locations of Freedom Boat Club have experienced rapid, steady growth. When they began operations in 2011, they owned three boats and leased nine others, serving 150 members. Now they own 47 boats and have 470 members. Kevin Seelig on the docks at Camachee Cove Marina, St. Augustine.